One of the really neat perks of doing product reviews is that sometimes you get to learn about new products that maybe you would have not known about otherwise…A few days ago I was contacted by Radio Flyer and I was offered the opportunity to try their new Ziggle ride-on toy…They sent me a free sample of the Ziggle to try. My opinions are my own and by no means influenced by any other part. I am positive you all know the Radio Flyer name and their products (hasn’t everyone owned a Radio Flyer little red wagon) …Radio Flyer is a Chicago-based company founded in 1917 by Antonio Pasin with a dream to bring joy to every boy and every girl. Today, the legacy continues by producing high quality and innovative toys to create warm memories that last forever and their products have been in American homes since then. The Ziggle is a load of fun, easy to assemble ride that will be the delight of any kids from ages 3-8. The Ziggle is well made, sturdy and very unique. To get the Ziggle going your kids will have to twist the front and wiggle the back. It is really easy to ride, very smooth and thankfully it is also very quiet. This is a great way for the kids to exercise. As I mentioned before, the Ziggle is really easy to put together…it took me probably between 5-10 minutes and that was pretty much because I had to find my wrench. You will find everything you need to set up your ziggle except for the wrench…And you will need one. The Ziggle features an adjustable seat that grows with your child. I love the wide age range that can use this toy, my bug just turned 6, so that gives her at least two years of use. 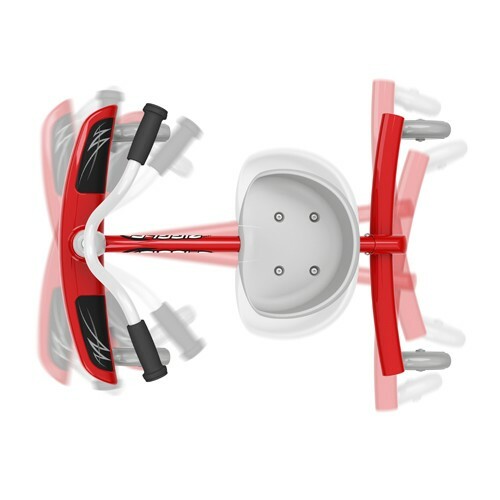 The Ziggle also features padded hand grips, grip tape for feet and a solid steel frame that adds comfort and control allowing kids to do really sharp turns. 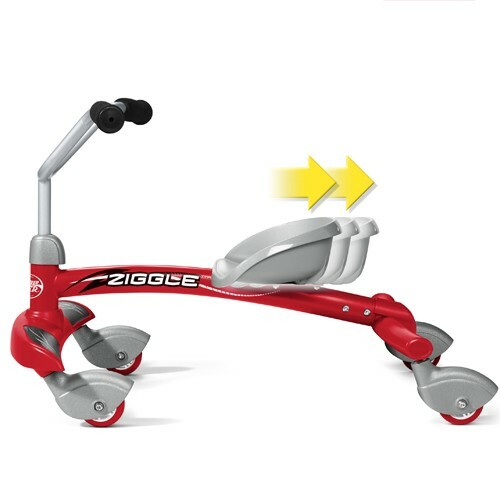 The Ziggle has four caster wheels that make this toy very sturdy and easy to ride. The seat is really close to the ground, so the kids do not fear falling and get to ride on with no hassle or hesitation. The Ziggle body is about 31.25″ L x 21.7″ H x 20″ H, weights a little over 11 lbs, and has a weight limit of 81lbs….I took the ladybug for a test run and I must say that I spent most of the time I was out with her talking to neighbors that wanted to know what the Ziggle was and where to get one. I have owned other Radio Flyer products, and have always been very pleased with them, but the Ziggle is definitely my favorite toy so far. So if you are looking to keep your kids active and ensure a really fun summer, I highly recommend you take a look at the Ziggle which has a retail price of 49.99 ( great value for your money)! Radio Flyer has kindly offered one lucky Born 2 Impress reader, the chance to win a free Ziggle for a Summer load of fun! Contest open to US residents with a valid street address. No PO Boxes please. Winner(s) are selected randomly through the use Giveaway Tools unless otherwise noted and will be announce on the contest closing date. To claim your prize(s), you must contact Born 2 Impress within 48 hours of the contest closing Prize(s) not claimed by (48 hours) will be forfeited and a new winner will be selected.Please provide a valid email address to be informed in case you do win a giveaway. Please note ALL entries are checked for accuracy and will be validated. Clicking on “enter” ensures that your task has been completed. If your task has not been completed, your entry will not be counted and will be considered invalid. If you are chosen as the winner of this contest and you have not completed the task(s) that you claim to complete, a new winner will be randomly chosen. So please be sure that you have completed a task before clicking “enter”thank you for your co-operation. love the radio flyer wagon. had one as a kid. We used to fly down the hill in it. I like their Shockwave Scooter! I like the TRIPLE PLAY DELUXE WAGON™! 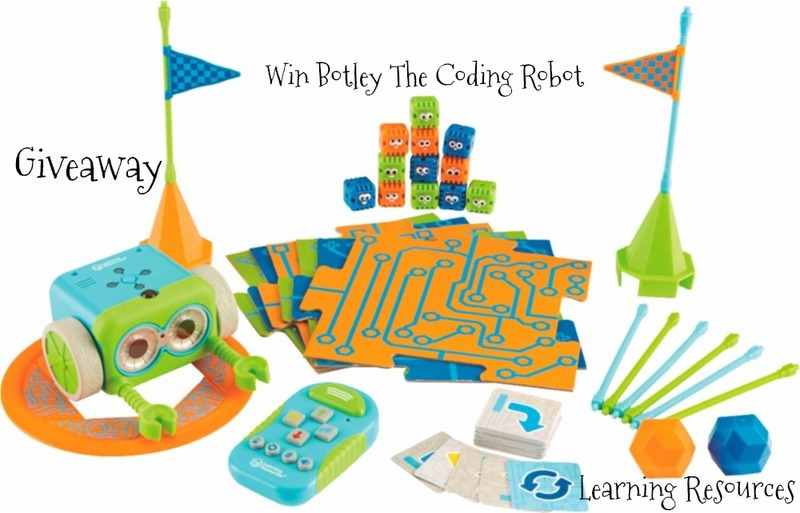 Lots of fun for all the kiddies at our house this summer! I like the Scooters, especially the “Shockwave” (MODEL 517). absolutely the build a wagon section, you can let the kids pick tier own parts they want on the wagon. I love it!! I like the SPIN ‘N SAUCER™ WITH LIGHTS & SOUNDS. Spin ‘N Saucer™ with Lights & Sounds is nice. The shockwave scooter looks awesome! I really like the Ultimate Family Wagon. Their Shockwave Scooter would be great for my older granddaughter! Radio Flyer brings back memories of my childhood! I’d love to have the Ultimate Comfort Wagon for my little one. The All-Terrain Steel and Wood Wagon seems awesome! My granddaughter would love that Shockwave Scooter! ♥ the Spin ‘N Saucer ITS NEW !!!!!!!!!!!!!!!! my favorite is still the build a wagon! the kids can pick out what they want! My favorite is the Shockwave scooter. I think I’m going to get the Shockwave scooter! I also like the Pro-Glider Scooter! LOVE the Spinnin’ Saucer with lights and sounds! my favorite is still the “build a wagon” where you pick out what you want on it. The Ultimate Comfort Wagon is my favorite item. That Shockwave Scooter looks great – I’d love to get it for my granddaughter! I like the Shockwave Scooter. I’d get it for my oldest granddaughter, but her mother is already pissed off at me! The Spin ‘N Saucer™ with Lights & Sounds looks like fun!!!! I like the classic Radio Flyer Wagon. I’d like the Shockwave Scooter for my granddaughter! I would love to get the Little Red Fire Engine for my little man. 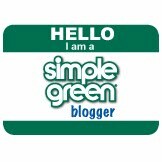 my favorite is still the ……….build a wagon, customize your own wagon! I like the Shockwave Scooter, I know my granddaughter would like it too! Groove Glider Rock While You Roll! The Shockwave Scooter is my pick! I adore the Ultimate Comfort Wagon. I like the GIRLS’ BIG FLYER! I like the I like the TRIPLE PLAY DELUXE WAGON. I love the Build a Wagon , I have never seen such an option before! Love it! I like the Classic Pink 12″ Cruiser. I like the Glide & Go Balance Bike. The Shockwave Scooter would be perfect for my oldest granddaughter. Her mother would kill me, though. I like the Build a Trike – great fun for the rugrat but also for the Dad! The Shockwave Scooter looks like a lot of fun! I LOVE the SPIN ‘N SAUCER WITH LIGHTS & SOUND! I’d love to have the Shockwave Scooter – too bad I’m too big for it, though! Oh I also love the ULTIMATE FAMILY WAGON! I want the Shockwave Scooter. One for me and one for my granddaughter. The big flyer looks like so much fun! I’d love to get the Shockwave Scooter for my granddaughter. Her mother can’t stand me, anyway! I keep going back and forth with that build a wagon! That Shockwave Scooter looks mighyt good! i think i will go with the “build a trike” today. I’d love the SCOOT 2 PEDAL™ for my 2 year-old grandson. Oh I also love the build a trike! I love the Little Red Fire Engine. So cute! i like the Spin ‘N Saucer™ with Lights & Sounds – it would be blast to watch the kids on it. I was liking the “Triple Play Deluxe Wagon” also! I’d like the Shock Wave Scooter for my niece. The “Spin Saucer” looks like a lot of fun also!! Love the triple play wagon. Oh I also love the PRO-GLIDER™! I’d love to get the Shockwave Scooter for my granddaughter. I like the All-Terrain Steel & Wood Wagon. It looks sturdy which is what my son needs. His is worn out! I could see the SPIN ‘N SAUCER™ getting a lot of use at our house. Looks like fun! the “groove glider” looks like the kids would have a blast! The All-Terrain Steel & Wood Wagon is verry nice! BIG FLYER is really nice! Oh I also love the SPIN ‘N SAUCER™! The FLYER 500 is so neat!! I love the Triple Play Deluxe Wagon from Radio Flyer. 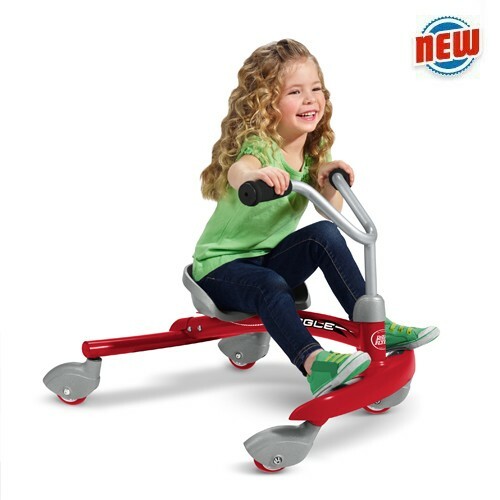 I visited the Radio Flyer site and found several things I would like to have. One product I would love to have is the Tailspin. I have several rambunctious grandsons that would really put this trike to the test. The Little Red Roadster is another product that I would love to have. I love everything on the Radio Flyer site. I like the Groove Glider Scooter. I love their Groove Glider. I like the triple play deluxe wagon. I love the 4-IN-1 TRIKE! I like the Shockwave Scooter My granddaughter would like it too! I love the walker wagon! Perfect for my little one soon learning to walk. I like the Girls’ Big Flyer. I love the original wagon! I actually really like the Radio Flyer Ziggle, but the wagons are also definitely a favorite. The Outback Wagon is really awesome!! The Spin ‘N Saucer with Lights & Sounds looks like its a lot of fun! Oh I also love the FOLD 2 GO TRIKE! I like the TRIPLE PLAY DELUXE WAGON™! I’d like to get the Shockwave Scooter for my granddaughter. I think my family would enjoy the all terrain wood wagon. I also like the family adventure wagon. I love the 4-in-1 pink trike that can be a stroller too!! I like the Little Red Roadster. I really like the Outback Wagon. I love the Little Red Fire Engine!